Cross Cultures by Cheryl Tiu organized a dinner featuring 5 top chefs in Asia and took its guests to gastronomic delights without having to take a plane ticket and get a taste of the region’s best dishes. The dinner to remember exquisitely served on a table in one event. 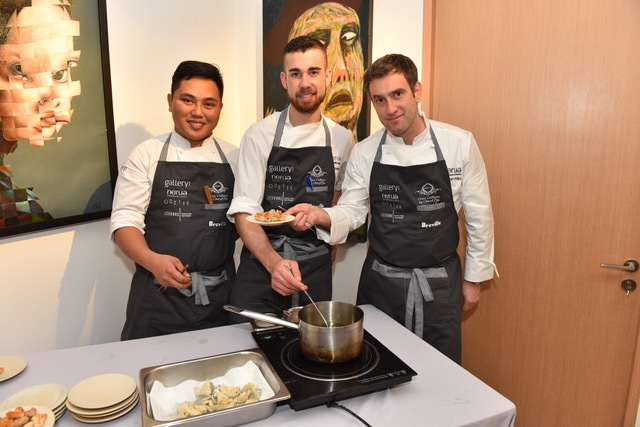 A premier brand of kitchen products designed and engineered in Australia, Breville®, took part in making the event possible as one of its major sponsors. Breville® adheres to what Cross Cultures by Cheryl Tiu stands for, a dining experience where people can an understanding of different cultures by sharing excellent meals infused with the passion to make every ingredient stand out. Left to right, Marco Bongon, Inaki Bolumburu & one of the 5 featured Chefs Josean Alija of the Michelin starred Nerua-Guggenhiem in Bilba. The dinner like no other featured Chef Josean Alija of the Michelin starred Nerua-Guggenhiem in Bilbao, Chefs Ray Adriansyah and Elke Plasmeijier of Lovacore in Ubud, Chef Julien Royer of Odette in Singapore—another Michelin starred restaurant, and the country’s very own Chef Chele Gonzalez of Gallery Vask in Manila, where the 10 Hands Dinner was held. Breville® has a lineup of kitchen solutions that could make any food preparations fast and easy. Professional chefs could have this in their kitchens to aid them in whipping up their signature dishes. At the same time, Breville®’s hot kitchen items are sure to make the culinary passion beating in every chef’s heart aflame. And with Breville®’s elegant design on its items, every kitchen can be sight to behold. Breville® believes that with gastronomic events like these, that the process of creating delightful meals could be as enjoyable as digging forks into these meals and then into the mouths of lucky guests. Home chefs and aspiring professional chefs too could get some enjoyment in creating dishes with Breville® in their kitchens. 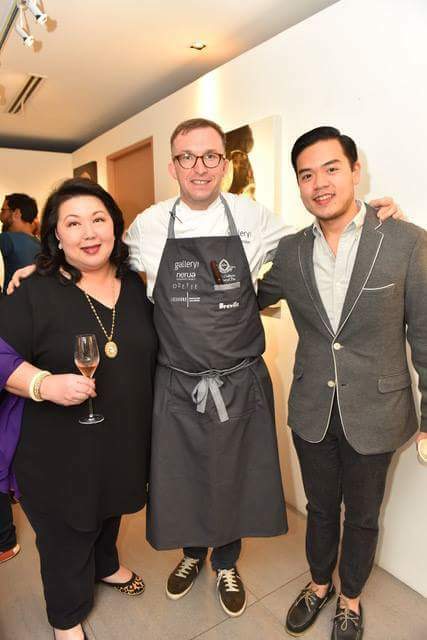 Tatler Publisher Irene Martell-Francisco, Breville Ambassador Chef Chele Gonzalez of Gallery Vask and food enthusiast Carlo Fong Luy. Experience the difference in food preparation and cooking with Breville® and enjoy the fun in creating the most exciting dishes and mixes. I hope they could host more events like this, and hope it's open to the public.